Some of you say that leaseholders have taken Eastendhomes to the LVT? I can only see one case on the LVT (Julian Place) where the leaseholder was told that the services were reasonable and so had to pay his charges. It said that Eastendhomes had taken the leaseholder there. 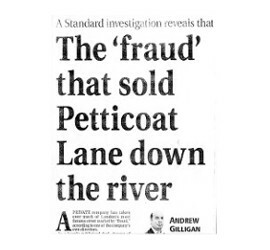 Where are the other cases please where we (leaseholders) have taken Eastenhomes and that they had ‘lost’ the case? I would just like to see what the disputes are. You have got your information wrong my friend, I know personally three EEH leaseholders who are at LVT, and one contesting a court case. The three people I know at LVT are in the “pre-trial” period, and I believe the actual cases are coming up in September. It is possible that you have got the “verdict” information, and not the cases awaiting LVT. I agree with JW. I know of at least one leaseholder from The Island Estate, one from Glamis Estate and one from St Georges Estate who have taken EeH to the LVT for unreasonable and erroneous service charge statements. So far no formal decision has been issued by the LVT, but at least in one of the cases EeH has already conceded some of the erroneous charges prior to the LVT’s decision. Applogies, I should’ve informed you guys the outcome of my case, basically I won. Congratulations Manchester Road. Now the question is – How can EEH justify the costs of the case,and others, THEY don’t pay, we will, as they will be added to our service charges! EEH legal fees must be enormous, those legal fees should be used for funding a leasehold/landlord arbitation scheme. If we had that there shouldn’t be a need to take them to LVT. Your LVT could never have happened if EEH had an arbitration service. Russell. Your article was fantastic, you think exactly the way that many of us do. EEHLFA desperately needs people like yourself that are fighting the fight against EEH failures alone. I am a huge target for EEH, like you asking awkward questions, but EEH are a brick wall, we are sh*t to them! Yet we are their stakeholders. Without us they wouldn’t be. I am very sure that EEH has no sincere regard for the residents. The attitude of the people in the Glamis Estate Office speaks for East End Homes and was described to me this very morning as “at best indifferent and at worst patronising and impatient”. I am inclined to wonder what makes any of the Glamis estate office staff think they are so special. My knowledge of two of them is not at all encouraging and tends to suggest that we would be beter of without them and that, perhaps, we may begin to make things better by mucking out the EEH stables. I am beginning a new forum discussion entitled ‘Who is Paul Bloss?’. Please watch out for it in the next few days and encourage people to read it and to contribute. It would be helpful to avoid venting anger in this proposed new Forum since I intend it to serve us all and everyone who does not know who Paul Bloss is, what he has done and what qualifies him to rule our lives. If I can be of any small help in the TRA I will happily and eagerly give it. 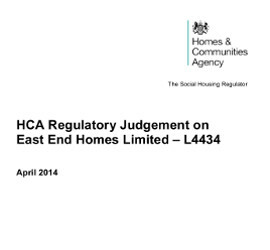 East End Homes, from top to bottom, needs determined and unswerving scrutiny and validation. EEH may not rule our lives – we, on the other hand, must make it clear that we shall from now on always and in all cases use every legal avenue at our disposal to force clarity and accountability into the ‘system’ that EEH uses to run itself. When we are sure that we have imposed a regime of unimpaired transparency we will then be able to think about trusting EEH. At present, that is completely impossible. Next story Some pictures from the committee meeting and after.